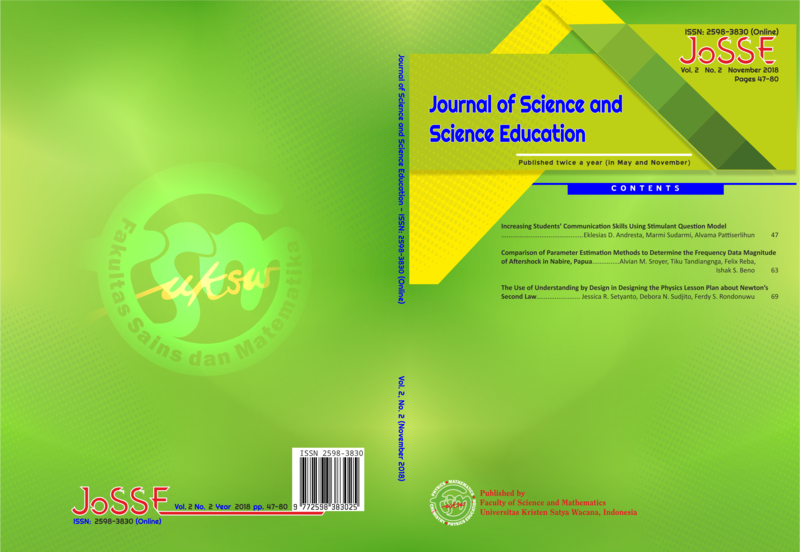 The Journal of Science & Science Education (JoSSE) is free access and peer-reviewed journal publishing in English. It aims to publish academic articles of conceptual, experimental, philosophical, theoretical and applied results and reviews in the field of mathematics and Natural Sciences from the following subject areas: Biology, Biology Education, Chemistry, Chemistry Education, Physics, Physics Education, Mathematics, Mathematics Education, Statistics, Computer Science. Submitted articles must must be correct, original, nontrivial, and well written. This journal is published twice a year in May and November besides special editions.